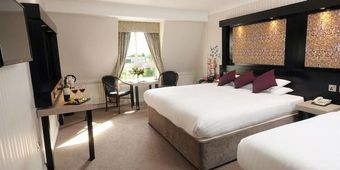 Flannery’s Hotel Galway is a modern 3 star, family owned & operated hotel, located just 2.5km from Galway’s City Centre. The hotel boasts 134 bedrooms, Bar & Restaurant. Flannery’s is the ideal base when visiting Galway City. Extensive Free Car Parking on-site and Free Wifi.